Almost everyone dreamt of having long, shiny, and strong hair. However, not all are able to achieve this. Every strand of the hair is composed of protein-containing cells known as keratin. This component should be continuously kept nourished with proper nutrition in order to maintain a healthy, strong, and long hair. Other than the hair, the scalp should also be given attention and care. Remember that the hair and scalp condition is related to your health. Its dryness or smoothness is indicative signs of what’s going on in your body. Fortunately, there are numerous foods that can provide the much-needed vitamins and minerals to ensure faster, healthier, and stronger hair growth. Read on and learn some of the best foods here, which are good for hair growth and for better hair health. Apple works wonders in the hair and the scalp. It balances the pH between the hair and the scalp, promoting the healthy growth of hair and treating dandruff problems. Using apple, especially the green ones, helps strengthen locks and prevents loss of hair. Apricot provides a good solution to hair loss problems due to its antioxidants, fibers, and low calories composition. It also contains nutrients that promote hair growth, improve hair conditioning as well as working as a natural healing remedy for damaged scalps. 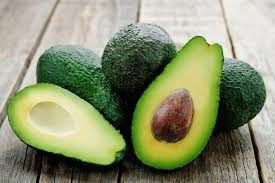 Avocado is rich in essential nutrients needed by the hair to stay healthy, shiny, and hydrated. This fruit contains essential vitamins and minerals such as Vitamin A, B, C, E, K, copper, iron, magnesium, phosphorus, and potassium. The use of avocado oil helps in promoting faster hair growth, preventing hair loss and conditioning the hair. Banana greatly helps in promoting hair growth and controlling hair fall. It contains potassium which softens the hair, gives shine, and allows better management. The natural oils of banana also protect the elasticity of the hair, thus preventing breakage and occurrence of split ends. As one of the best fruits for hair growth, citrus fruits like orange and lemon are delicious too. They are rich in Vitamin C that helps prevent hair weakness, breakage, and graying. It also controls dandruff and promotes hair thickness and growth. Some uses dried peel paste of citrus fruits in the scalp due to its excellent conditioning effect to make the hair shiny and with volume. Coconut is very useful to the hair. It contains fats that help moisturize and conditions the hair. Massaging coconut oil to the hair and the scalp opens the pores, promoting healthier and faster hair growth. Cucumber is rich in vitamins and minerals such as Vitamin A, C, and silica. These not only promote hair growth but also enhance the texture of the hair and moisturize every strand. The use of cucumber also prevents hair loss and hair fall. Grapes, especially the grapeseed oil, has long been used in proper hair care. It helps in preventing hair loss and maintaining a healthy scalp. The vitamins, minerals, and antioxidants that this fruit contains aid in optimum hair growth. Also, the high-water content of grapes keeps the hair and body hydrated and prevents hair fall. Papaya is not only good for the skin but also for the hair. It is rich in vitamins and minerals that prevent baldness and increases the rate of hair growth. The papaya extracts are also great conditioners that can transform dull and lifeless hair into a thick, shiny, and healthy hair. Also, papaya helps in controlling and treating scalp problems such as dandruff. Pineapple is a common fruit that has numerous health and hair benefits. It contains high amounts of beta-carotene which is converted by the body into Vitamin A. This is essential in maintaining a healthy scalp and triggering the growth of healthy hair. Plum is a good source of bioflavonoid. This is an essential nutrient that maintains healthy tissues in the hair and scalp. The regular consumption of plums ensures thicker and stronger hair without worrying much about any side effects. Pomegranate has numerous benefits to the hair. It helps strengthen the hair follicles and stimulate stronger, thicker, and healthier hair growth. The seed oil of pomegranate is also used in massaging and spa due to their positive effect in fighting hair loss, dandruff, and itchiness. Strawberries contain numerous minerals including copper, magnesium, and manganese which boost hair growth. These minerals inhibit the possible growth of fungi in the scalp. It also protects the cell membrane of the scalp from hair loss and other problems, making it one of the best fruits for hair growth. Carrots are rich in Vitamin A which is essential for the proper growth of cells. This allows faster and stronger hair growth. It also keeps the scalp and the hair roots healthy by allowing better production of natural sebum oil. Eggs are known to be the richest source of protein. This nutrient serves as the ultimate building block of the hair. Thus, it should always be included in the diet. Green leafy vegetables such as spinach and kale are rich in iron. This nutrient is essential to the hair in order to prevent hair loss. The low amount of iron in the body prevents transport of oxygen and nutrients to the hair follicles and roots, leading to slower growth and weaker strands. Nuts and seeds contain a high amount of omega-3 fatty acids. This nutrient nourishes the hair and thickens the strands. Good sources of nuts and seeds that can supply these healthy fats include almonds, walnuts, and flaxseeds. Salmon is loaded with protein, Vitamin D, and omega-3 fatty acid which all promote strong hair growth. It also helps in maintaining a healthy scalp and better nourishment of the roots. Besides including fruits for hair growth, whole grains in your diet can also be very helpful. They promote hair growth due to the presence of high amounts of biotin, Vitamin B, iron, and zinc. These essential nutrients allow better cell proliferation and production of amino acid which is needed by the hair to grow strong and healthy. Server responsed at: 04/24/2019 9:58 p.m.